It'd be a shame if it wasn't. We know this is the BMW rumor that simply won’t die. Thing is, we really don’t want it to. Ever since the automaker revealed its one-off Pininfarina-styled Gran Lusso Coupe at the 2013 Concorso d’Eleganza Villa d’Este, there’s been rumors that it foreshadowed the return of the iconic 8 Series, built from 1989 till 1999. It was the first road car to offer a V12 paired up with a six-speed manual. Although no immediate successor arrived, BMW has never said such a car wouldn’t happen, hence the excitement surrounding the Gran Lusso. 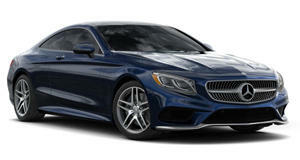 Now that Mercedes-Benz replaced the drab CL-Class with the utterly gorgeous S-Class Coupe, powered by a twin-turbo V8, the time could be ideal for BMW to offer up a new flagship coupe of its own. BMW Blog has also reported about 8 Series revival rumors for some time, and those guys have great inside sources. Point being, this car could very much happen. 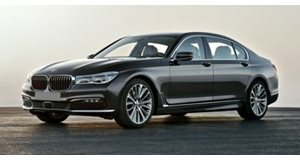 We’d assume it’d be based off the new 7 Series. Rendering artist Theophilus Chin also noted these rumors and has created a pair of images showcasing a blending of that one-off concept with the 7 Series. Would something like this be worthy of being branded an 8 Series?